The developers of your favorite game decided to create a unique addon that allows you to get any necessary items without any problems in a convenient interface. 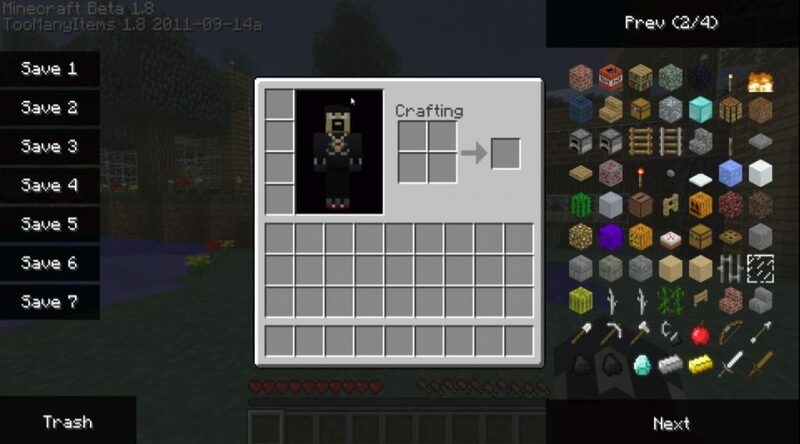 So, Too Many Items is a mod allowing the player to give themselves any object in the game by selecting it in the Graphical User Interface (GUI), which will be added to the Minecraft Pocket Edition game process, after installing Too Many Items. Modification Too Many Items has many new features and functions that will allow you to more manage the game process Minecraft PE, for example, you can change the time of day, change the game mode and more. Be sure to download Too Many Items 1.0, 0.17.0, 0.16.0, 0.15.0 if you want to have a full set of features in your favorite game! 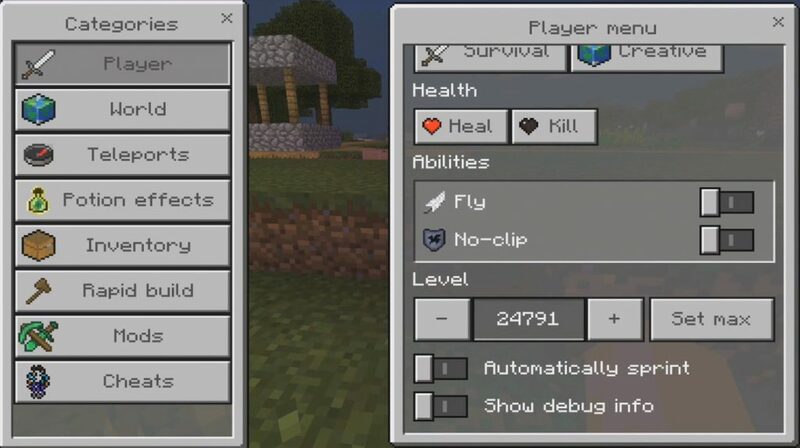 When you enter the world of Minecraft PE, on the left of the screen you will see the M button, when pressed, you will see a graphical interface with all the blocks, objects and other elements that exist in the game. 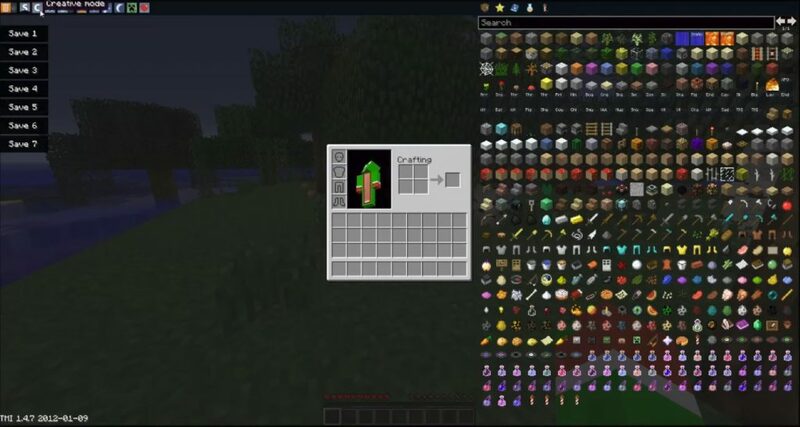 Also a very useful feature (possibility) of the Too Many Items mod is that when you install any modification for the Minecraft PE game client, be it a mod or addon, all new elements, objects, blocks and other innovations appear in the interface fashion Too Many Items. That’s why the TMI modification is the most popular among the Minecraft PE players, with it you can use all the elements in Minecraft PE even in the survival mode. Added automatic update of the mod. The burning of mobs is now working. New categories of blocks for special elements. Download the addon Too Many Items. Click on the spanner, then “Settings BL”. We include support for addons. Run the downloaded Too Many Items and install it. We go into the game, create the world and enjoy the established TMI. We go to the settings BlockLauncher. In the menu “import script from” select “phone memory”. We go to the folder with the scripts. The mod must be in the .js format. Author of the mod Too Many Items decided to radically rework its addon and now it’s called Toolbox. The new versions support the current version of the Minecraft PE and preserve the functionality of its predecessor.